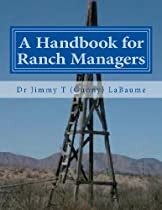 Common Sense and Common Law for the Environment: Creating Wealth in Hummingbird Economies: Book Review | Land & Livestock International, Inc.
← What do animals eat when you start with largely bare land? Surely one of the more problematic issues for people with a principled commitment to free markets is the environment. Such people generally have a deep respect for individual rights, and environmental problems do seem to represent rights violations. But, in the modern political framework, saying that tends to put one in league with the denizens of the left: central planners, people who hate modern technology, anti-capitalists, and other socialist fellow travelers. Is there a way of approaching environmental problems that both recognizes the primacy of individual rights and the importance of limited government? 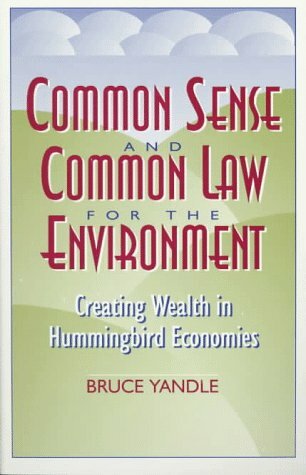 Bruce Yandle, professor of economics at Clemson University , provides the best answer that I know of in his most recent book, Common Sense and Common Law for the Environment. In this provocative new book, Bruce Yandle explores the relationship between common law and environmental protection, and he discusses how people can limit environmental impact while living in a world of common access. Yandle examines today’s most pressing environmental and natural resource management problems, including water quality, the ozone layer, acid rain, and access to groundwater contained in aquifers. He argues that common sense should dictate the simplest, least costly ways to address the problem of access to limited natural resources. 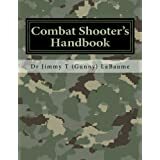 Yandle challenges readers to invent methods for creating wealth by building appropriate institutions and enforcing intelligent laws. This book is essential reading for students and scholars of environmental economics, politics, and law. This entry was posted in Government Interventionism, Private Property Rights on the "Public" Domain, Radical Environmentalism, Resources, Environment and Austrian Economics and tagged Bruce Yandle, Clemson University, Common (entertainer), Common law, Economic, Environmental economics, Marriage, Social Sciences. Bookmark the permalink.